For those not familiar with Labuan, it is a federal territory of Malaysia, an island located off the coast of Borneo island and close to Brunei. Labuan is a free trade zone that has been traditionally an offshore support hub for deepwater oil and gas activities. However – Labuan has become an international financial center with its own business, tax and financial services legislation and its own financial services regulator, the Labuan Financial Services Authority (LFSA). For global businesses with Asian connections looking for a pro-business and low tax environment, it may be hard to find a better place to set up your company. In addition, Labuan is keen to attract fintech companies including those involved in distributed ledger technology, blockchain, and cryptocurrencies and the regulator is taking the right steps for this to happen, as we’ll see below. In previous letters, we spoke about Labuan being one of the most interesting options to set up a regulated Crypto Exchange in Asia. The LFSA is regulating Crypto Exchanges under the Money Broker License, allowing them to provide both fiat and crypto wallets, support fiat and cryptocurrency trading and transactions. Requirements for compliance are very reasonable. First, your exchange will need to have the appropriate measures and system to manage AML/CTF risks. Your exchange will go through an assessment process by the LFSA to make sure you have adequate capital, the appropriate internal policies, and controls, including the protocols and systems for cybersecurity risk management and governance expertise. They will also assess the management team background to ensure it is formed by fit & proper persons. The minimum capitalization is relatively low, RM 500,000 (approximately USD 120,000), and the entire licensing process takes about 4 to 6 months. Note that Malaysian residents may not be allowed to trade within the exchange platform. Labuan has also taken a cutting-edge approach with regard to ICOs. 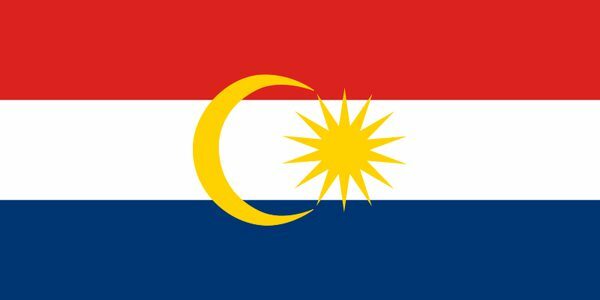 A crypto startup can launch a fully regulated ICO in Labuan via obtaining a Credit Token License. However, there are certain requirements for companies to be eligible. You must prove that your company has at least USD 100,000, your business must have a 3-year profitable track-record or, if you are a newly created startup, you must have an innovative business model within the Fintech or Blockchain space. And last but not least, there must be a reason on why your crypto startup is issuing a utility token – and that there is a feasible token economy model behind it. The licensing process is similar to those of the exchanges. You will need to first have a meeting with the regulator, introduce your business to determine eligibility. After, fill out and submit an application together with supporting documents – if your application is approved it will be time to set up the company. The whole process will take 2 to 3 months. Note that any security token offering or an offering of any financial instrument in form of the digital token will be subject to Malaysian capital markets regulations. If you are looking at establishing a fund that invests in cryptocurrencies – Labuan should be on your radar. Funds in Labuan can be structured as a Limited Company, Limited Liability partnership or protected cell company – with the Limited Company being the most common. There is mainly two type of funds: private and public. Private funds don’t need to obtain a license – they just need to file a memorandum to the LFSA for approval. They can be open or closed-ended, but its shares cannot be offered to the public. For private funds with less than 50 investors – a minimum RM 250,000 (about USD 60,000) per investor applies. Those with more than 50 investors – requires RM 500,000 per investor (about USD 120,000). The appointment of a fund manager, administrator or custodian is not mandatory and accounts don’t need to be filed or audited. Public funds are regulated by the LFSA and can solicit investments to the public. There are no restrictions in terms of a number of investors or investment amounts. Unlike private funds, they must appoint a fund manager, trustee, administrator, and custodian – which must be approved by the LFSA, and at least one service provider must be licensed by the LFSA. They also need to appoint an approved external auditor and submit audit reports yearly. In short, public funds are subject to more restrictive operational, disclosure and reporting requirements. All funds, both private and public must ensure compliance with the AML/CTF regulations and guidelines provided by the LFSA. Banking has become difficult not only for cryptocurrency startups but also for other businesses operating via offshore companies. Over the past few years, it’s been getting progressively harder for offshore companies to get strong transactional ‘onshore’ accounts. In Labuan, there are more than 50 licensed banks – most of the largest banks in Singapore, Hong Kong, Europe, and the US have a branch in Labuan. Setting up a Labuan entity will give you access to top-notch banking options – with a comprehensive offer of corporate banking services, in both Malaysia and Labuan. Minimum initial and ongoing deposits required are relatively low – starting from USD 12,000 in one of the top tier Asian banks. This is an attractive option for even the smallest companies. 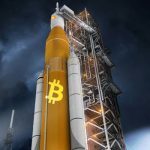 If you are operating in the cryptocurrency space – this is even of more importance. 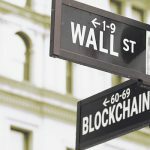 Non-regulated cryptocurrency companies face considerable challenges getting a bank account – their available options are reduced. Labuan is no different on this matter – from banks’ perspective, a non-regulated crypto business poses a high money laundering risk. However, Labuan has an advantageous legal framework with which you can legalize your crypto activity – you will be under the scrutiny of the LFSA and banks will be willing to onboard you. Being licensed in Labuan will not only provide you with a certain degree of regulatory certainty but will also give you access to top global banks. This is especially relevant if you are running a crypto to fiat exchange or payment processing system where your business needs to process a high amount of transactions daily. To begin with, in Labuan you can set up a tax resident entity – but yet still pay little in taxes. There is a common misperception about IBCs – most IBCs set up in a typical offshore jurisdiction are not tax residents in that jurisdiction. This presents some challenges, as they could easily be deemed a tax resident elsewhere – where they are effectively managed for example. Banks often ask for a Tax ID number, and international companies set up in for instance BVI, will not have such a number, and it is impossible to obtain one (without becoming resident in another jurisdiction – something outside the scope of this article). Labuan companies can be managed from Labuan. You could get commercial substance in Labuan by, for instance, setting up a physical office – which costs about USD 1,000 per year. You and your family could even get a business visa and work permit in West Malaysia via incorporating the Labuan entity – and enjoy certain income tax exemptions as well such as those related to dividends and capital gains. Currently, a Labuan company may elect to be subject to a 3% tax on trading income profits or simply pay a flat tax of RM 20,000 (about USD 5,000). Although the flat tax scheme may be abolished in 2020 (tax law amendments have been tabled at the Parliament but have not been passed yet) – Labuan remains an attractive jurisdiction from a tax standpoint. Dividend, interest, royalty income, capital gains are exempt from taxation. There are no withholding taxes on payments to non-residents as well. There are no import duties and as a tax resident entity – Labuan companies have access to more than 70 Malaysian tax treaties (although other Malaysian treaties specifically exclude Labuan). There are no exchange controls and free movement of capital is ensured. Labuan companies are really flexible in terms of company formation and governance requirements. For instance, there is no restriction on non-residents and corporate ownership and directorship. Labuan companies are also private, shareholder and director details are not publicly available. You can consult legal requirements and tax aspects of Labuan and other companies at our updated Incorporations.IO site. The yearly compliance burden is reasonable. Your company must file an annual return and tax return but there is no requirement to have accounts audited if the company elects to pay the flat tax and it’s not a licensed entity. However, Labuan companies are required to report transactions in Malaysian Ringgit and its income sourced from Malaysia will be taxed at Malaysian standard rates, currently 24%. Although often overlooked, Labuan is one of the best places to do business internationally. You can set up a tax resident entity in a business-friendly and low tax environment and access to some of the top Asian banks. Labuan is an excellent location to set up an investment holding, international trade or online services businesses. It’s also a place to consider if you are looking to incorporate a financial services entity, whether it is a forex or securities broker, fund management, insurance or captive insurance and payment processing company. For crypto businesses, Labuan is, perhaps, one of the most attractive jurisdictions – it’s one of the few places worldwide where you can issue a licensed ICO, or operate a regulated Exchange or crypto fund with reasonable setup requirements and affordable costs. And all this, without having the heavy ‘offshore’ stigma that other jurisdictions might have. Labuan is a reputable financial center and free trade area within Malaysian shores. 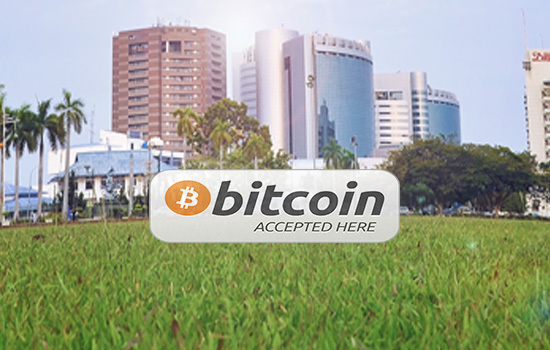 In short, Labuan may be one of the best places to set up a crypto startup. If you are setting up a crypto startup, Flag Theory can help you design and implement the proper structure and obtain banking to make sure you can focus on what you do best: grow your business.